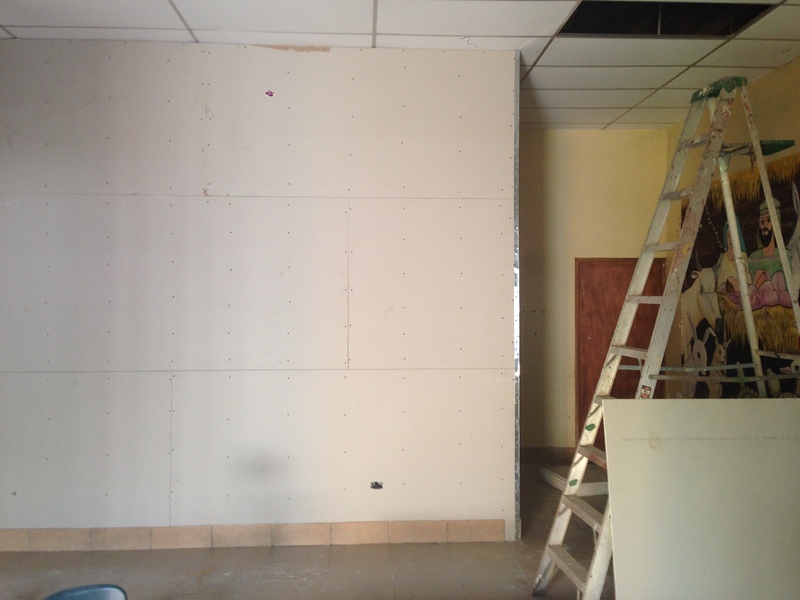 Here are some updated pictures of the ongoing construcion…thank you for your continued prayers! 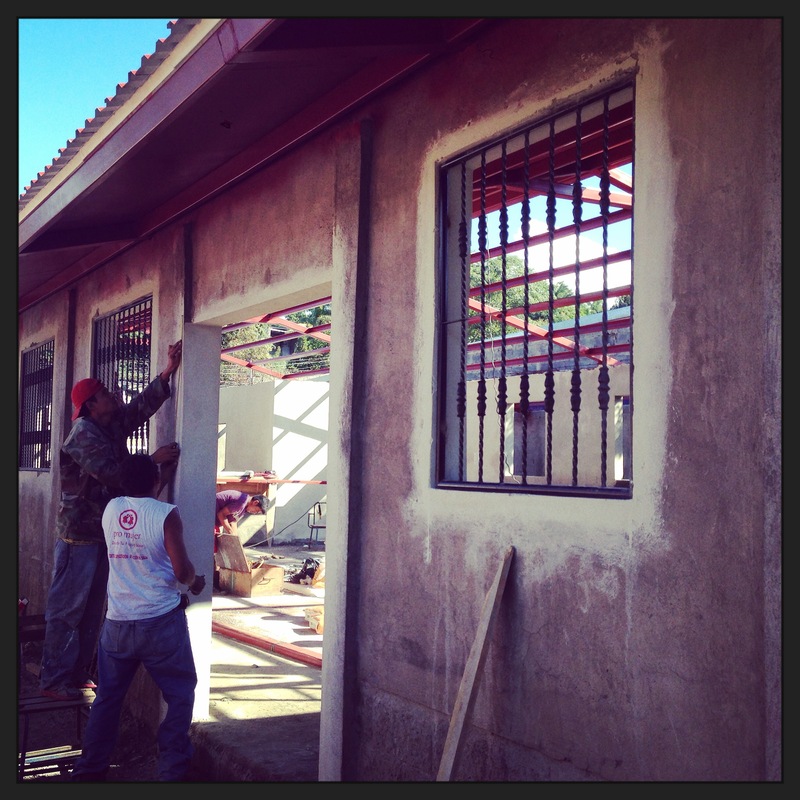 We have about ten more days to be done!!!! ahhhhhhh! 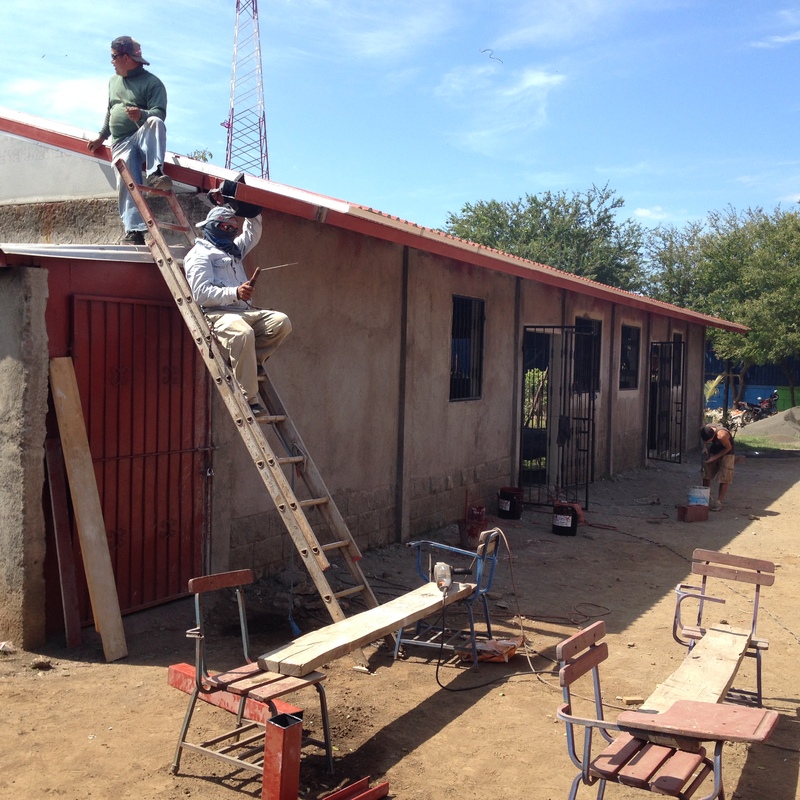 We operate Club Cristiana La Esperanza on the Nicaraguan school calendar, so we are off for the Christmas break, but there is news to share. 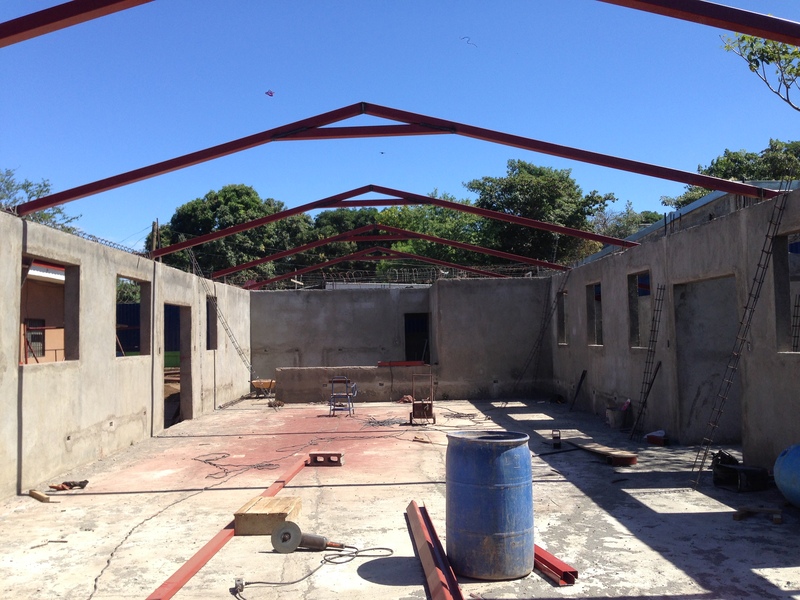 Thanks to generous donations both big and small we have been able to take on some of the construction work that we talked about over the last year. We are trying to get it all done over the break, which means we have three weeks left! The children are going to be so excited to see it all! 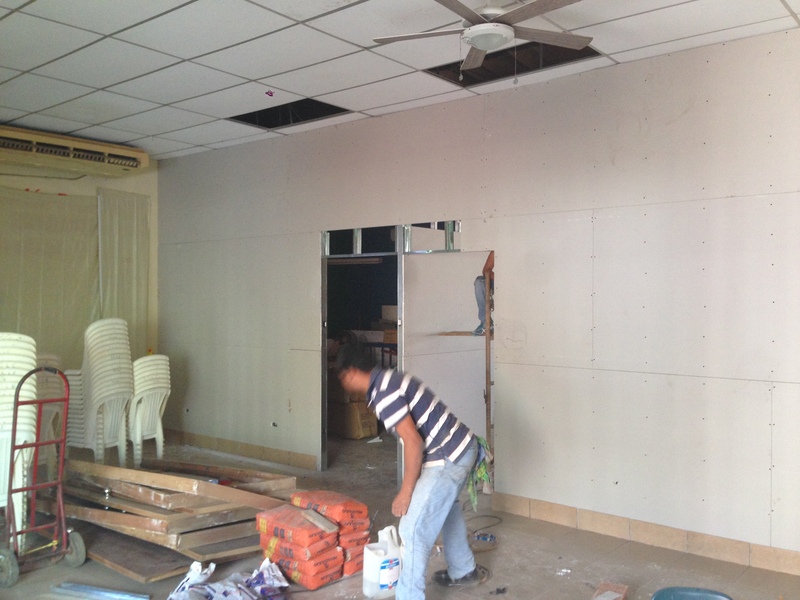 Here is what we are doing. 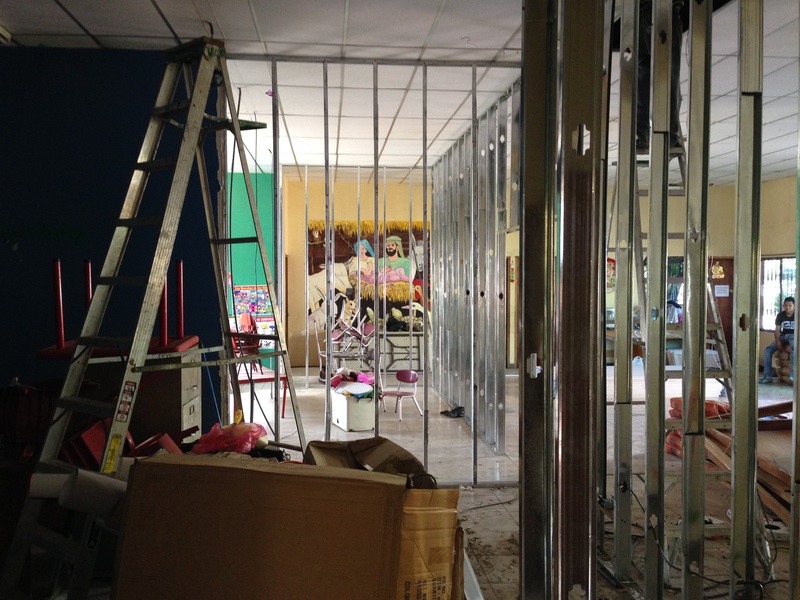 In the main education building we are knocking down walls and expanding the sizes of the Preschool Classrooms. 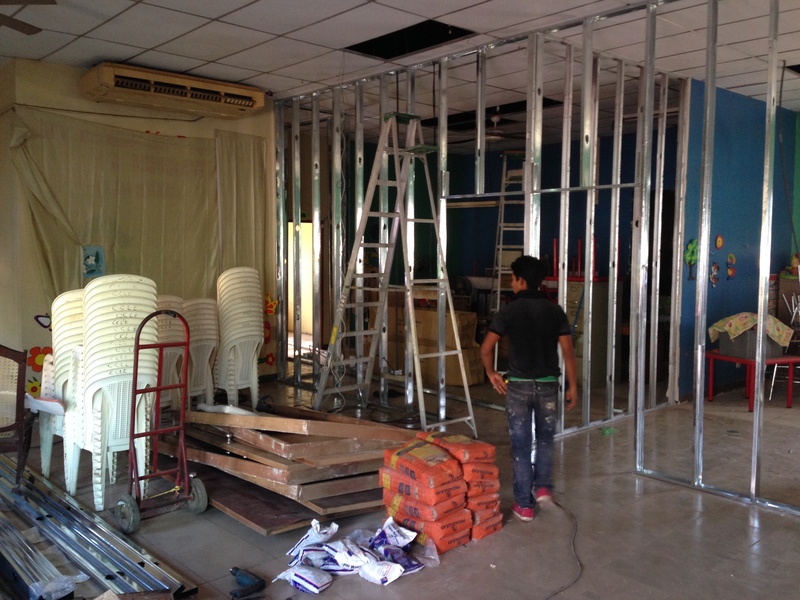 For the last two years our Preschool classes have been in classes about half the size that they should be, we are fixing that! 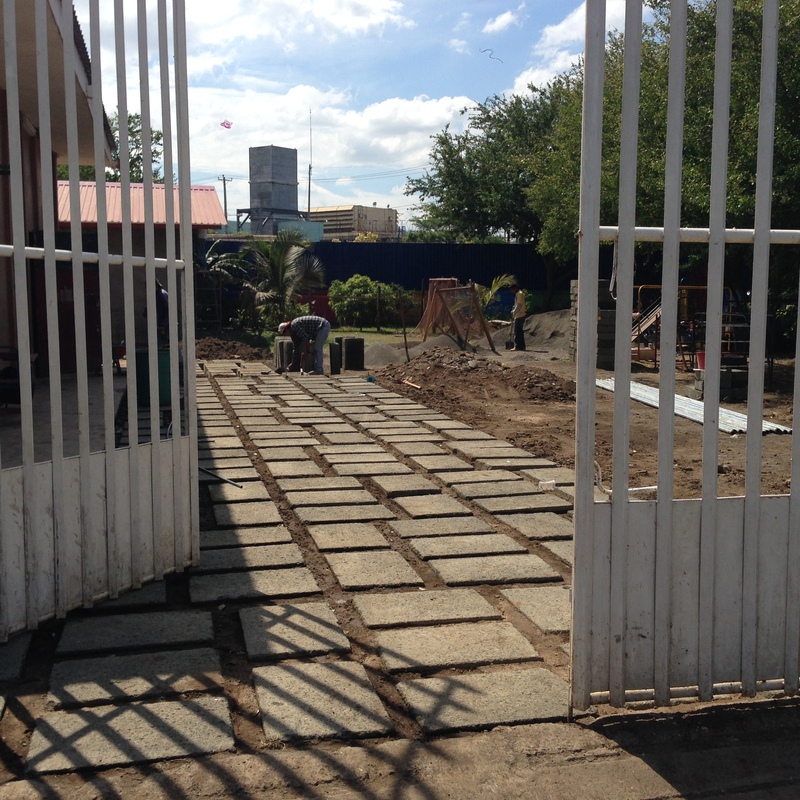 We are also landscaping and laying stone in the vehicle entrance as well as putting up a fence to make our playground its own separate space. Teachers will sing Alleluia next year when they are able to keep all their little kids corralled in one area during recess! 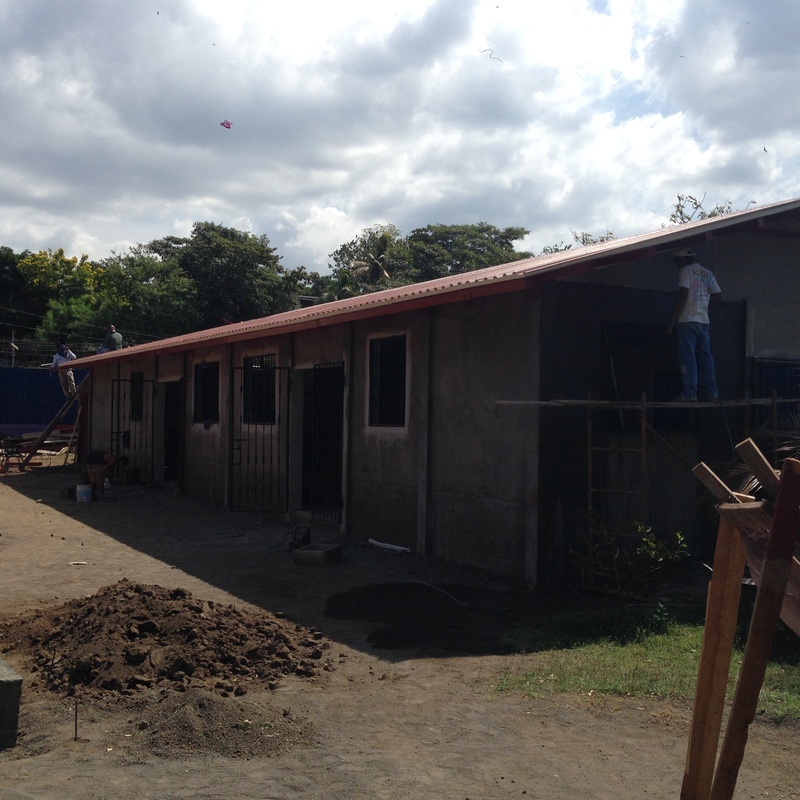 By far the biggest project is completing the Feeding/Tutoring Center. 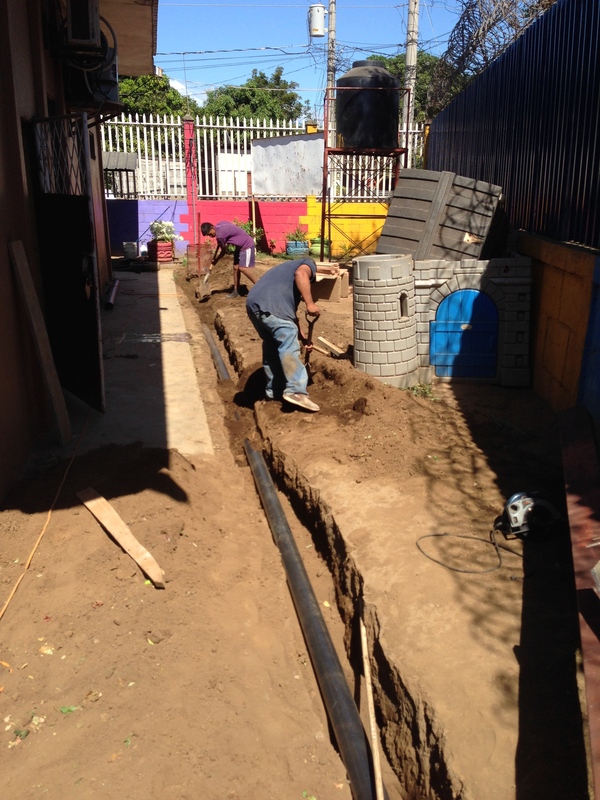 Along with smaller projects we are doing all the plumbing, the electrical, putting on the roof, plastering the walls, building a storage shed on the back, laying the tile floors, installing doors and windows, and putting up security covers on door and window spaces. I just had the thought as I typed, “are you loco bro?! ?” LOL…Loco for Jesus! 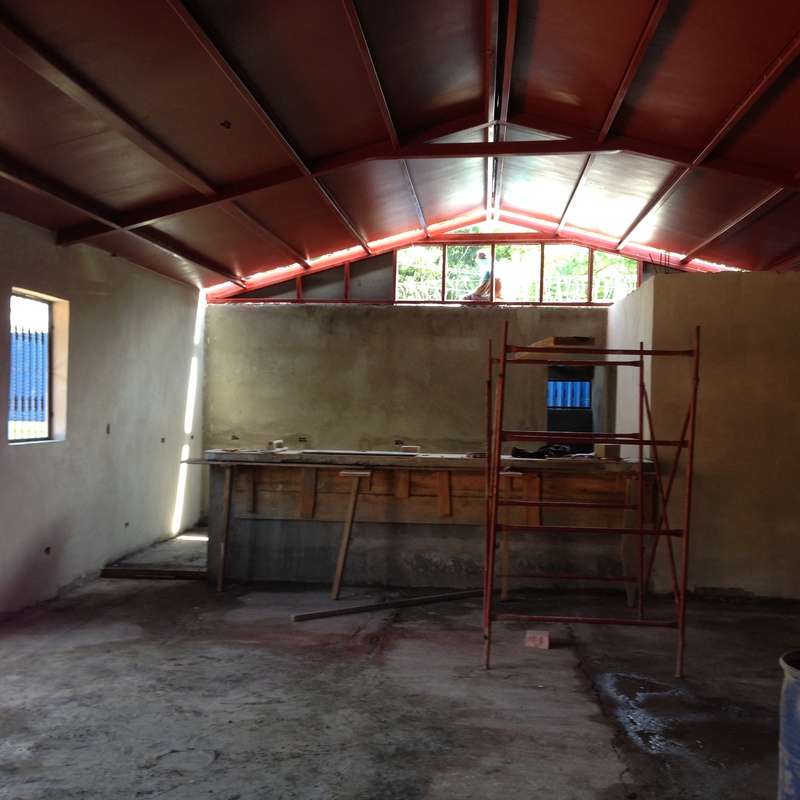 So we wanted to share with you some of the pictures of the progress and ask you to continue to pray for Club Espernaza, even during the Holidays. 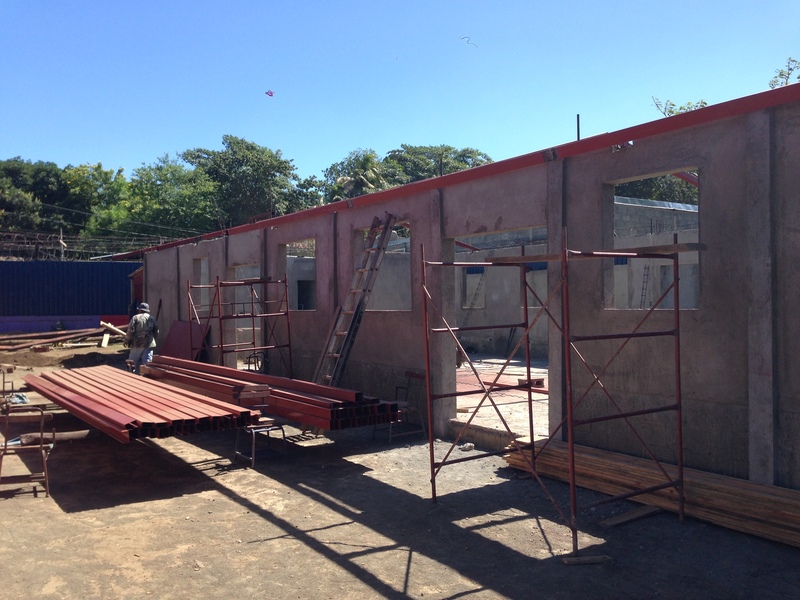 We are going to go as far as we can over the break, and honestly we do have hope that we will finish the Feeding/Tutoring Center for the start of the school year…amen! Thank you for all of your generosity and prayers! 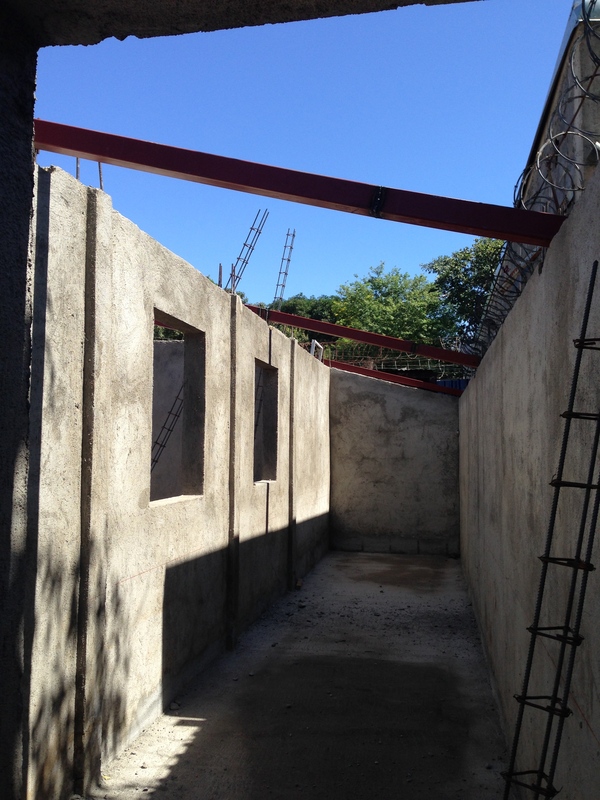 If you would like to give to the ongoing work at Club Esperanza you can find the donation information here. We are already thinking towards the future as well, and those ideas include creating a computer lab in the educational building and completely redoing our playground. Those two things will have to wait for now…for now 😉 God is so good!